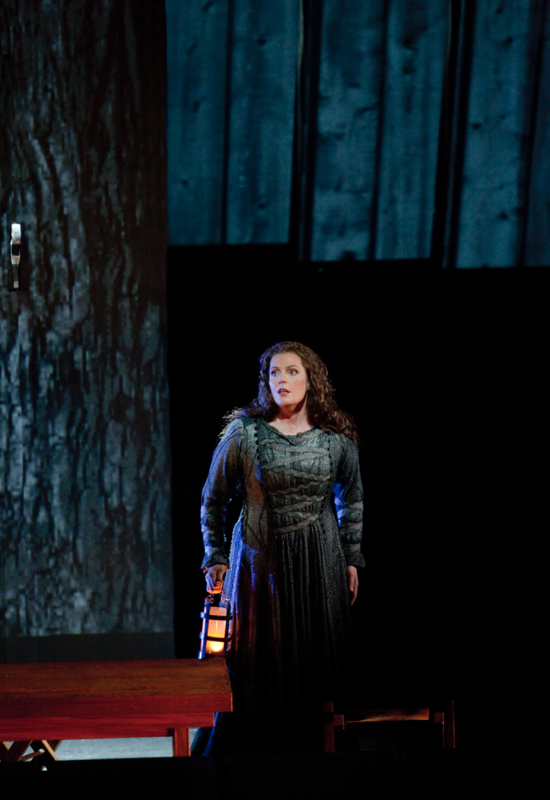 Opera’s supreme experience returns to the Met for the first time in six seasons with a cast of magnificent Wagnerians, led by the thrilling Christine Goerke making her Met role debut as Brünnhilde. Philippe Jordan conducts Robert Lepage’s breathtaking production, which faithfully presents every detail of Wagner’s immortal libretto. In what is expected to be a Wagnerian event for the ages, soprano Christine Goerke plays Brünnhilde, Wotan’s willful warrior daughter, who loses her immortality in opera’s most famous act of filial defiance. Tenor Stuart Skelton and soprano Eva-Maria Westbroek play the incestuous twins Siegmund and Sieglinde. Greer Grimsley and Michael Volle sing Wotan. Die Walküre is the second in Wagner’s four-part Ring Cycle. Based on Norse mythology as told in the legendary Icelandic Volsunga Saga and the Edda, Die Walküre deals with twins separated at birth who meet and fall in love, angering the gods. Underwritten by Jeanne Cook, Liz & Steven Goldstone, and Sabina & Walter Slavin. Ridgefield Library cardholders receive member prices for this show. AAA members receive a 20% discount! FREE tickets for students 18 & under! Must show ID at the box office. Box Office always open one hour prior to any scheduled performance. For online purchase inquiries please visit the ticketing page. Stay informed on our latest news and events! Add your email below to sign up.